Full vs. Partial Dentures: Which Is Right for My Tooth Loss? The team at PQ Family Dentistry wants to help the people of San Diego smile with renewed confidence. That's why we offer advanced dental treatments to improve health and smile aesthetics. When it comes to treating major tooth loss, the best options to consider are full and partial dentures. Let's compare these types of dentures to see which might be right for you. Full dentures are dentures that are intended to replace most or all of a person's teeth. These dental appliances span the entire length of the dental arch. They are held in place by bracing around the remaining gum tissue and jawbone structure of the dental arch. Denture creams and dental adhesives can be used to help keep the denture in place as needed. The best candidates for full dentures are people who are missing many or all of their teeth. The dentures will restore a person's ability to bite and chew while also improving overall smile aesthetics. It is possible for a person who is missing most or all of their teeth to wear two sets of full dentures, one for the upper teeth and one for the bottom teeth. Partial dentures are dentures that are able to replace many missing teeth in a row. Similar to a full denture, the partial denture is held in place by bracing along the jawbone and gum tissue where there are missing teeth. In addition, denture creams and adhesives can be used to improve stability of the partial denture when it is in place. The best candidates for partial dentures are people who are missing a few teeth in a row but are not good candidates for a dental bridge. The bridge is ideal for people missing a tooth to a few teeth, though it may not be ideal for people with significant tooth loss. For people experiencing major tooth loss in different areas of their smile, multiple partial dentures may be considered. Implant-Supported Dentures or Removable Dentures? While traditional dentures are removable, it is possible to have dental implants placed to anchor a denture in place. Dental implants are artificial tooth roots that are surgically embedded into the jawbone and gum tissue, fusing with the living tissues of the mouth to help stabilize dental appliances. 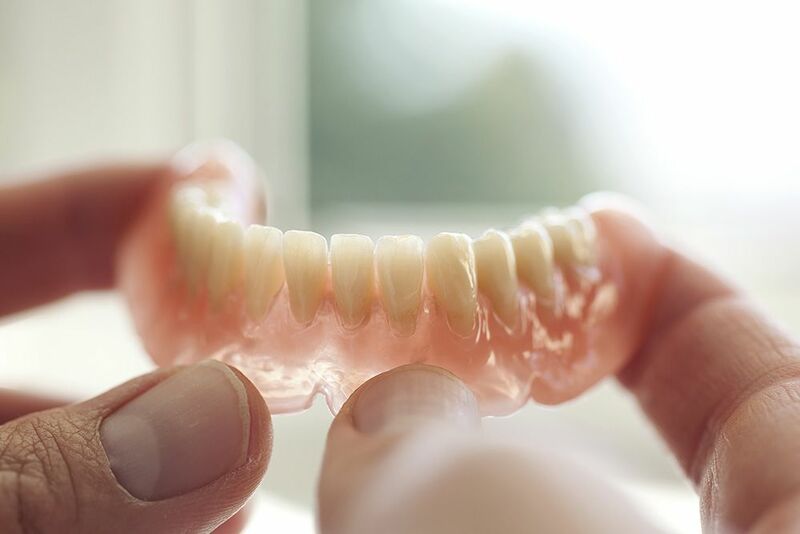 Implant-supported dentures are far more secure than removable dentures, though there is an added cost to consider since oral surgery is involved. In addition, it will take several months for a person to fully recover from the dental implant surgery. Which Denture Options Are Right for Me? As you can see, there are many options out there for people who suffer from significant tooth loss. It's possible for use to customize your restorative treatment to your needs. During the consultation process, we will be more than happy to discuss the risks and benefits of all treatment options in greater detail, helping you understand which procedures might be most ideal for you and your needs. For more information about your restorative dentistry options and how we can help you smile with renewed confidence, be sure to contact our advanced dental care center today. The team at PQ Family Dentistry looks forward to your visit and discussing these matters in greater detail.